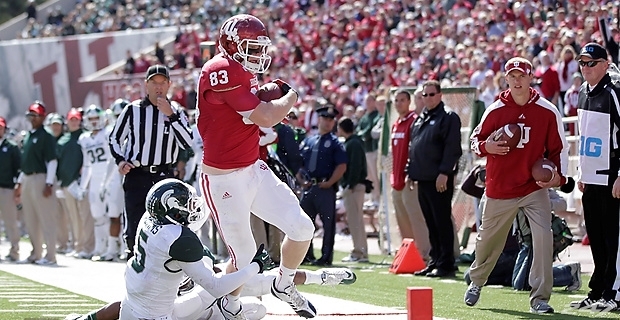 On Tuesday, Indiana Senior tight end Ted Bolser was named to the John Mackey Award Watch List. The Mackey Award is handed out to the most outstanding tight end in the nation at the conclusion of each season. 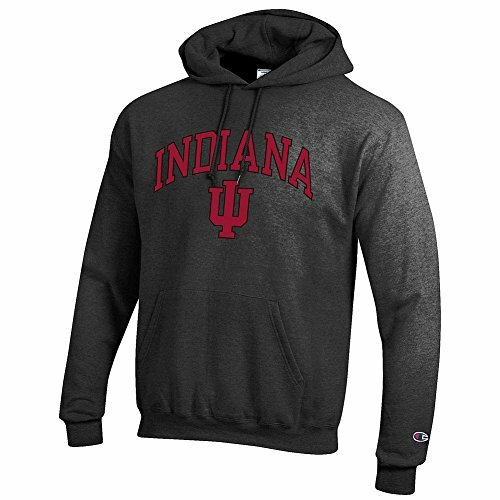 This is the third appearance for Bolser on the preseason list during his career in Bloomington. While Bolser was productive during his junior campaign, most would consider it a disappointment based on the elevated expectation level entering the 2012 season. He hauled in 41 receptions for 445 yards and three touchdowns while becoming just the third tight end to record over 1,000 career receiving yards in school history. Those numbers led to him being recognized as All-Big Ten honorable mention by both the coaches and media. The Big Ten is absolutely loaded at the tight end position in 2013 with seven players from the conference being named to the Mackey Award Watch List. With Bolser entering his senior season, and third year in Kevin Wilson’s offense, taking his game to the next level will be both expected and necessary. By elevating his play Bolser could not only score him individual recognition but also help the Hoosiers take the next step as a team.